The Missouri Deparment of Health and Senior Services and federal regulations mandate that CNA classes in Missouri feature at least 75 hours of in-class study and additionally require their students to complete 100 hours of clinical training. On average, full-time students can finish the required hours in 8 to 13 weeks. Prerequisites for admission usually consist of a high school diploma or GED certificate and being a minimum of 18 years old. Some programs may have additional requirements as well. Students who complete their training are required to sit for the NNAAP examination within 24 months. If an individual is unable to pass both the clinical and theoretical sections of the exam during this time frame, he or she will be required to go back and retake all training in its entirety. 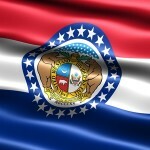 To be eligible for employment as a CNA in Missouri, a person must also be currently listed in the Missouri Nurse Aide Registry. Demand for nurses aides is high throughout the state of Missouri, meaning students will find CNA classes in Kansas City, St.Louis and all points in between.